On any given night more than 6,700 Chicagoans find themselves without a home or shelter bed. 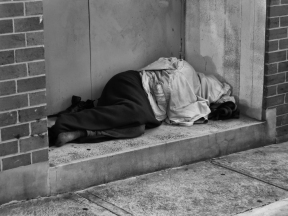 How they become homeless varies widely, but one thing is now certain: homeless prevention programs and funding dramatically decrease the chances they will end up on the streets and saves taxpayer dollars. However, the state budget impasse has significantly jeopardized future funding of the program, potentially leaving hundreds of people without a home and costing taxpayers tens of thousands of dollars in emergency shelters, transitional housing, and other services rather than preventing homelessness. In a groundbreaking new study conducted in Chicago and published this week in the Journal of Science, it is revealed that when homeless prevention funds are available, an individual’s chance of becoming homeless within 6 months is reduced by 76 percent. The study proves that a minimal investment averaging $2,400 per person to prevent someone from becoming homeless saves more than $20,000 per person, per year in taxpayer funds that are needed to support a person in a shelter and with other services. However, the State budget impasse has meant funding for homeless prevention programs is in limbo and more than $1 million in preventive funding was not available in Fiscal Year 2016. In Chicago, homeless prevention funds are disbursed to dozens of agencies through All Chicago, which receives about $2 million per year in funding, more than $1 million of which comes from the State of Illinois. In 2014, homeless prevention funds ensured 5,000 individuals and families did not become homeless. Because of the state budget impasse, that number was reduced to 3,000 last year. 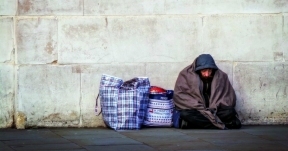 The groundbreaking study that proves homeless prevention programs are effective and efficient was conducted by the Wilson Sheehan Lab for Economic Opportunities at the University of Notre Dame with Catholic Charities of the Archdiocese of Chicago and All Chicago. This is the first time the impact of emergency financial assistance on homelessness has been rigorously measured and would not have been possible in any other city in the country. Chicago is the only city in the nation with a unique, collaborative database and call center screening process which made the study and tracking of callers and funds possible.